The All Star Ohio House has a 30 day cancellation policy. Guests who wish to cancel or modify a reservation must do so 30 days or more prior to the scheduled date of arrival. When a reservation is cancelled 30 days or more, a $25.00 cancellation fee will apply. Guests who cancel inside of the 30 day window forfeit the required 50% deposit at the time of booking. Group Bookings with 5 or more rooms must cancel 45 days or more prior to the scheduled date of arrival. We do not make exceptions to this policy. All cancellations and changes must be submitted and received in writing. What are your check in and checkout times? Our check in time is 4 pm. If your accommodations are ready early, we will check you in as early as possible. The All Star Ohio House offers luggage storage at no charge both for the day of your arrival as well as the day of your departure. Check out time is 11:00 am. What are your deposit and payment policies? The All Star Ohio House charges a 50% deposit at the time of booking with the balance due at check in. For guests booking on line, sales tax of 11.25% is added at check in. It is suggested that you make you hotel reservations very early in the year especially if your stay involves a weekend. Hotel rooms are limited on the Island and booking early will help insure you get the dates you want. You may book online by visiting our reservations page and selecting the hotel room, suite or villa of your choice. You must be 18 years of age to rent a golf cart. You must possess a valid driver's license to operate a golf cart as they are licensed motor vehicle in the state of Ohio. We have one ferryboat operator that services the Island with a high-speed passenger ferry. The Jet Express services the island for passengers and lands/docks right in the heart of downtown. The All Star Ohio House is just three blocks from the terminal. The Jet Express is the only ferry boat that services downtown and offers late night ferry service. Do I need advance reservations for the Jet Express? No! Our ferryboat services run on a first-come first-served basis operating as quickly as one boat every 15 to 30 minutes during the peak season and one boat every hour during non peak periods. The Jet Express has numerous boats and departs from Port Clinton, Sandusky and Lorain Ohio. Arrive early for your trip to Put-in-Bay! Check the Jet Express Website for details. We recommend you do NOT bring a car to the Island. Aside from the expense associated with transporting your vehicle, parking is very limited on the Island. Waits to get a car on or off the Island can run as long as four hours. The All Star Ohio House is located in town and just a short walk from Downtown Put-in-Bay and a pleasant golf cart ride to most attractions. 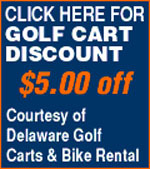 Golf Carts, Bicycles, and Mopeds may be reserved at Delaware Rentals and are also readily available there or at the Put-in-Bay Resort Front Desk. The Put-in-Bay season starts April 1st and our last big weekend is the Halloween Bash at the Bay weekend the last weekend in October. Off-season activities include walleye and perch ice fishing. On weekends our Put in Bay hotels require a two-night minimum except in April where you may stay one night. On holiday weekends there is a three-night minimum. Holiday weekends are Memorial Day and Labor Day weekends, July 4th weekend and Christmas in July. There is no minimum stay requirement Sunday thru Thursday nights where Sundays are not on a holiday weekend. Can I bring alcohol to my Put in Bay hotel room? Yes, all of the Put in Bay hotels featured on www.putinbay.com permit you to bring your own beverages to the privacy of your own hotel room or rental home. You may not bring your alcoholic beverages into any of our bars or poolside bars as they are considered part of the liquor permit premises. There is no need to bother bringing beer and wine from the mainland as we have carryout's here on the Island with prices comparable with those on the mainland. There is no full-proof liquor store on the Island. Some hotels do prohibit you from bringing alcohol onto the premises. It is always best to check BEFORE making a reservation. As a general rule, most downtown bars close around 2:00 am. There are three late night bars on the Island, The Skyway, Mr. Ed's Bar & Grill, and the Brewery. NO! As anywhere in Ohio, we have an open container law. No alcoholic beverages may leave a liquor permit establishment. This is strictly enforced and failure to comply can result in an expensive ticket. As a general rule no, dockage is on a first come first served basis. There are a few private docks that will accept reservations. Some require membership. Check our entertainment page for your favorite Put in Bay entertainer! Yes! Put-in-Bay has a K thru 12 school that is located in the downtown area. The Put-in-Bay School system serves all of South Bass, Middle Bass and North Bass Island Students. When the ferryboats stop running, there are several charter airlines that fly in and out of Put-in-Bay to Port Clinton and Sandusky Ohio. There is also a hovercraft offering ferry service across the ice to the mainland. The Jet Express operates a ferry service from downtown Sandusky just 10 minutes from Cedar Point. The Port Clinton jet Express Terminal is a 20 minute drive from Cedar Point. Where is the best place to eat at Put-in-Bay? That is a tough one! There are a wide variety of great dining choices on the Island that serve an even wider variety of food. While touring Put-in-Bay, stop in and look over the menus to determine your choice! You can also download our printable Island Guide in PDF format for a listing and map of local dining establishments. Yes, all the beds come with a full set of linen (bed sheet, duvet & pillows, towels). For your convenience we make up your rooms daily, however, we will change your linen every two (2) consecutive nights. You may contact our front desk for daily towel and linen change. Are guests allowed in the house/room? Yes, guests are allowed in the House in the company of the House guests. All rooms have split system air-conditioning. The use of air conditioning is included in the room rate. Are there electrical outlets in the room? Yes, there are local electrical outlets (110V) available in the room. Can children stay unaccompanied in the house? Yes you can, subject to room availability & rate of the day. Can I check in if the booking is under someone elses name? Yes you can! But it will depend on room availability and rate of the day. For your convenience we suggest you to plan ahead and book online to get the best rate. Yes, you can. You are required to key in Guest First Name and Guest Last Name/Surname when making booking. The Guest will need to present a valid ID during check in. Can I request rooms next to each other or on a specific floor? Yes you can! But confirmation will subject to availability upon arrival. Can I smoke in the house's room? No, you are not permitted to smoke in the room but you are able to smoke outdoors on the porch and deck areas. Do the House rooms come with a telephone, television, radio, safe, mini bar, tea and coffee making facilities? AThere is a large 60" TV in the living room and a coffee maker in the kitchen, however there are no safes, radio, mini bar, tea and coffee making facilities in the rooms. All rooms has sliding windows. Yes, there is free parking onsite. We do NOT provide any refunds. Does the House provide additional or have extra beds available? No, the House does not provide additional beds and does not have extra beds. Does the house provide towels, soap, shampoo etc ? We provide bath towels, hand towels, washcloths, bath mat, and containers with liquid conditioner and shampoo. How can I book for connecting rooms? Please contact our Corporate Sales Office at 888-PIB-STAY or email to reservation@allstarohiohouseputinbay.com, to have the booking changed and have your Booking Reference Number ready. We will send you an email to confirm your booking amended. Room bookings can be made via our website at www.allstarohiohouseputinbay.com, booking directly by contacting our Corporate Sales Office at 888-PIB-STAY, email: reservation@allstarohiohouseputinbay.com or in person at any of our island partners. 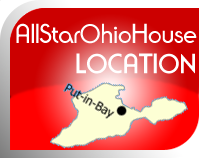 Allstarohiohouseputinbay.com sells its accommodation online. Bookings are confirmed online and sent electronically to our house within seconds of the credit card guarantee/approval. Please contact our Corporate Sales Office at 888-PIB-STAY or email to reservation@allstarohiohouseputinbay.com, to have the booking cancelled if within the cancellation period and have your Booking Reference Number ready. We will send you an email to confirm your booking cancelled. You will receive an online booking confirmation/booking reference number upon successful booking with credit card guarantee. Our room rates are not fixed. It fluctuates based on daily demand & availability. Booking Rooms Early Results in Cheaper Rates! In what currency do I pay for my stay at the House? The entire payment transaction will be converted in the US dollar. No, meals are not included but you may however purchase our breakfast at our nearby restaurant, the Blue Marlin Bar & Grille. Bookings are made against room inventory updated online. The booking is confirmed with the house system the moment your credit card transaction is approved. One (1) night midweek, Two (2) nights weekends, and Three (3) nights on holidays. Is there a wardrobe in the room? No, there are no wardrobes in any of the rooms but you can hang your clothes with the hangers provided in the rooms. Is there any Food & Beverage outlet in the house? No, but there are local convenience and grocery stores within walking distance. Is there Internet access in the House? In-room Wi-Fi is available at FREE of charge. Is there room service in the house? Allstarohiohouseputinbay.com operates a limited service concept; hence there is no room service available. It is advisable to print out your booking confirmation for reference and easy check in at the House. If you don't have a print out of your reservation, please confirm your booking details at the Reception Desk and provide your identification. Trendy rooms with comfy beds. All beds are queens. Please read our Terms and Conditions before proceeding to the allstarohiohouseputinbay.com reservation page. In the event you do need to cancel your room booking, the total payment made is deemed forfeited. What if I want to change the dates of my booking? Amendments to bookings MUST be made at least 15 days before the scheduled check-in date. For amendments of bookings within 14 days of the scheduled check in date, the total payment made is deemed forfeited. Changes related to amendments, subject room availability and rate of the day. The earliest time you can check-in is 4:00 PM. The latest time you can check-out is 12:00 PM on the check-out date. What is the maximum number of nights I must book? The maximum number of nights per booking is ten (10) nights. Stays exceeding 10 nights can be made by making separate bookings subject to availability. Guests are required to present proof of identity and payment. Will the house receive my booking immediately? Yes, allstarohiohouseputinbay.com forwards your booking details electronically to our system as soon as the credit card transaction is approved by our Bank.